Are you one of those developers that create scripts to make their own life easier? coincidentally, do you like Python? and you have Windows?. Instead of work repetitively with the console executing your scripts manually in the console, you need to know that there's an easy way to execute them and even create little console applications with them in Windows. 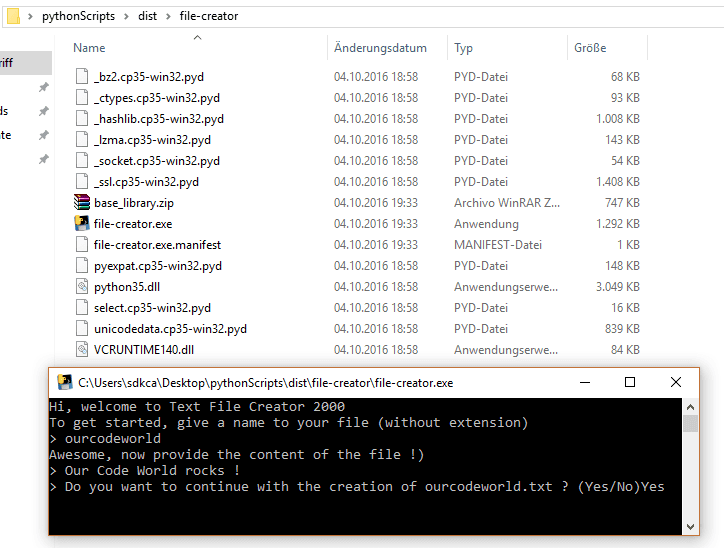 We are talking about creating .exe (yeah, application files) files with python scripts, thanks to pyinstaller. 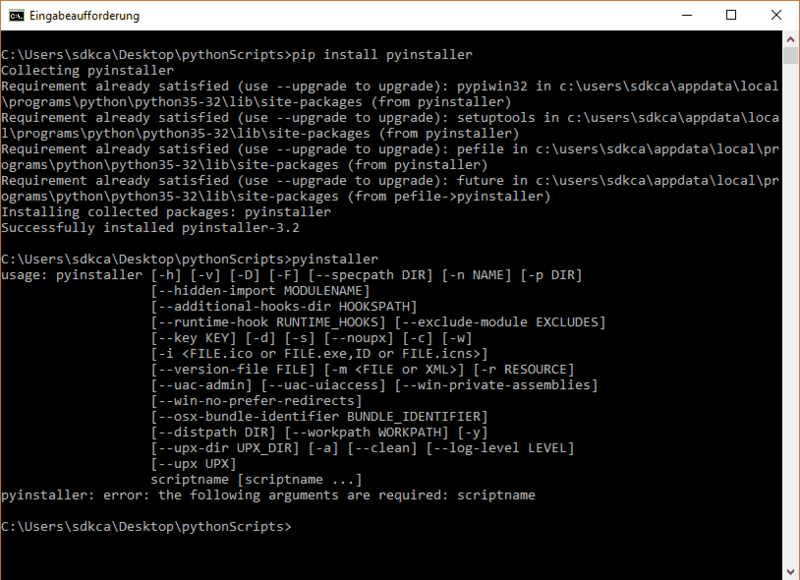 PyInstaller is a program that freezes (packages) Python programs into stand-alone executables, under Windows, Linux, Mac OS X, FreeBSD, Solaris and AIX. In this article, you'll learn how to create an executable from a Python console script easily using Pyinstaller in windows. You can read more about this package in the official website. To check if pyinstaller was correctly installed, you can check if it's available in the console as an environment variable executing pyinstaller --h.
That's the most simple command to create an executable of your script, so that should be enough to create the executable in the folder where the script is located. Note that our application is based only in the console (if you want an executable with the manifest in the same folder and other dependencies, you can add the --console parameter to the command , if you use GUI with libraries like wxPython, then instead of the --console parameter use --windowed.). You can change the icon of your executable adding the icon parameter (with the path of the file as value) to the command (pyinstaller script.py --icon=c:\path-to\icon.ico). There are different areas of typical problems which can occur when using PyInstaller. For fixing problems in your application, please refer to the "if things go wrong readme" in the repository here. Why is Python the future of programming? Why should i learn Python programming language?